I know I know, posting about simple headlights? Ive tried everything, but I can't get my headlights to work. When I unlocked my car the headlights come on just fine, but when I start the car they don't work at all no matter if the lights are in auto or not. The brights work just fine, it's just the low beams. Ever happen to anyone, or anyone know how to fix? I've tried new bulbs, and even fuses, but that didnt work. Rate the quality of this post and help djones09 reputation points. Click the reputation button near the bottom left corner of this message box. Thank you! The unlock function turns on the high beams anyways, it never turns on the low beams - that part is irrelevant. Your low beams function turn on several different ways. They turn on as daytime running lights while the car is in gear during the day light. Have you seen them work during the day time? 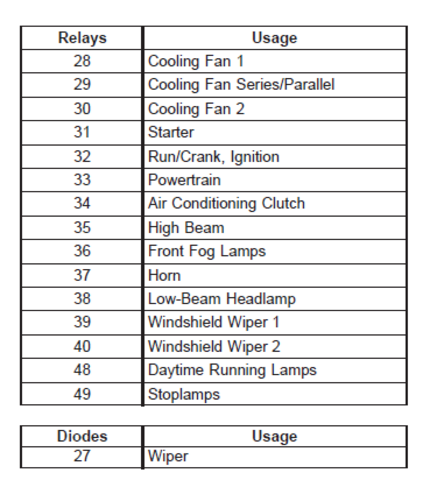 Have you checked the headlight relay? Swap with a similar relay such as the DRL or Horn relay. If switching relays does not make it function, then I would check the bulb sockets for melting, scorching or arcing and check for any other kind of damage to the wire harnesses of the headlights. I would replace the headlight pigtails if there is any evidence of those things. Rate the quality of this post and help explorerbigjon reputation points. Click the reputation button near the bottom left corner of this message box. Thank you! 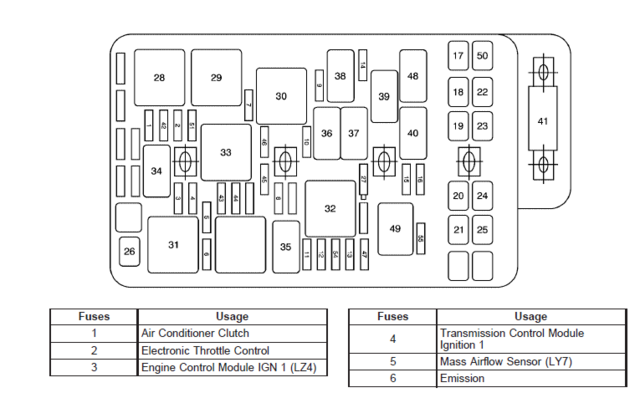 Here is a diagrams of the under hood fusebox. 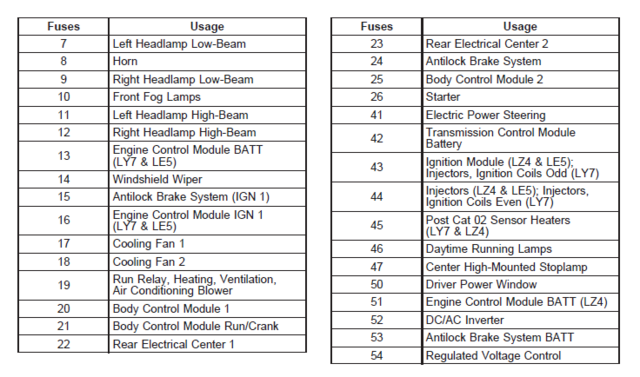 Check that low beam headlight fuses #7 and #9 are not burnt out. If Low Beams start working and the high beams stop working, replace relay #35 with a new one. If none of the above solves the problem, you have two burnt bulbs, faulty headlight connectors or some other wiring issue. Rate the quality of this post and help imaddicted2u reputation points. Click the reputation button near the bottom left corner of this message box. Thank you!